Brockenhurst College launched its All-Ways Safe & Drive Safe campaign last Thursday with a multi-agency information event held on campus. It featured exhibits, demonstrations, talks and activities designed to help young people identify and avoid dangerous situations. Leading topics included personal safety, road safety and sexual health. 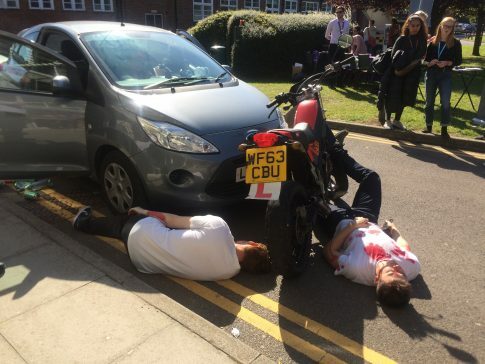 The College’s Public Services students created a mock traffic accident scene to help press home the potentially catastrophic impact of careless behaviour on the roads. Meanwhile, former Brock Public Services student, PSCO Louise Griffiths Crozier, delivered hard-hitting presentations on the impact of dangerous driving through real-life stories. 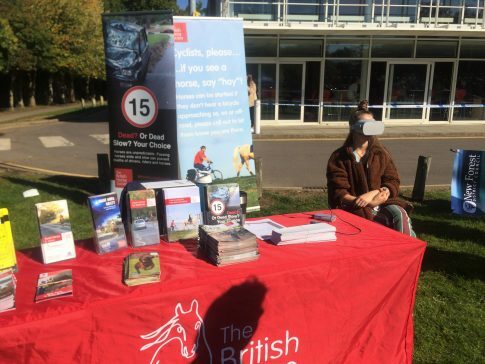 The British Horse Society used a VR headset to enable students to grasp what it is like riding a horse when a car passes to fast or too close. Also, staff from vehicle servicing firm Kwik Fit emphasised the importance of regular vehicle maintenance, and Kiss Driving School gave free driving taster sessions in the bus park. 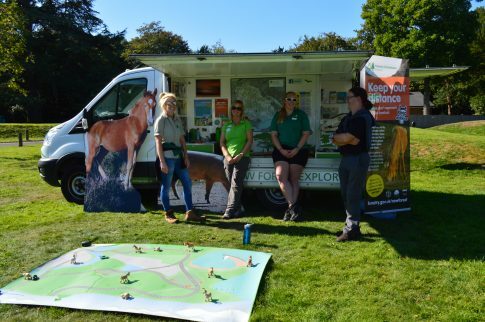 In addition, representatives from the Commoners Association, the New Forest Park Authority, the Hampshire Road Safety Team, the Hampshire Sexual Health Team, and the Maritime and Coastguard Agency, were all on-hand to give advice and answer questions. College Principal Di Roberts CBE said: “We take the safety of our students very seriously indeed, including outside of college, which is why we organise events such as this one. “My most sincere thanks go to all the visiting partners who have undoubtedly heightened awareness among our learners. It has been our best ever event of this kind” she added.